Tashi is a Tibetan born in Darjeeling (India). He has been working for the Tibetan Education for more than 15 years teaching science. Tashi sees education as the backbone of our society and his teaching as a service towards his community in exile. 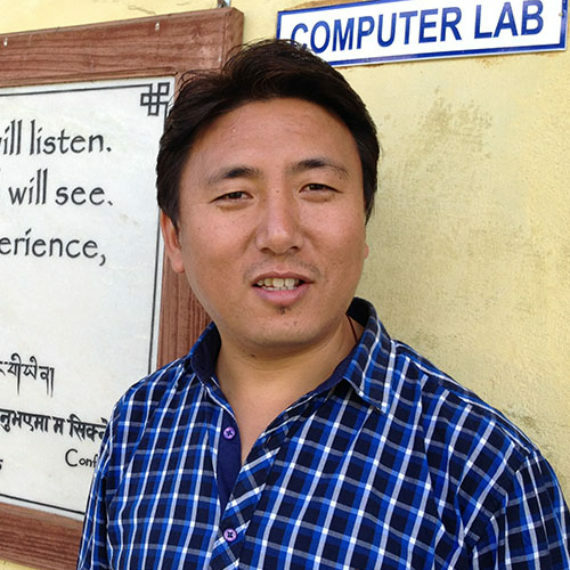 He always has considered computer knowledge to be key for Tibetan and Nepali students. Not only has he been supporting the e-Malaya project since its inception in 2002, but he also became one of its most important assets. Indeed, Tashi was instrumental in setting up the computer systems, working together with the administration of the Mt. Kailash school and the office of Tashi Palkhiel Camp. As a result, he has become the teacher in-charge of the computer lab. Without his dedication the project wouldn´t be a sustainable success.